The name of the game for Spring 2019 is romance. 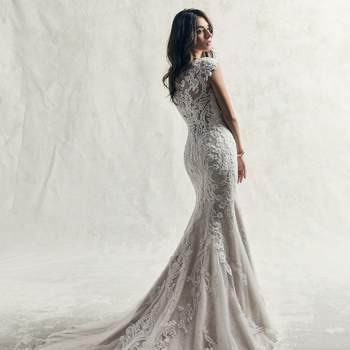 The incredibly feminine designs showcased at New York Bridal Fashion Week in early October were our first hint that the upcoming season was going to see the return of the traditional wedding dress – and Sottero & Midgley has endorsed this trend too with its latest collection. 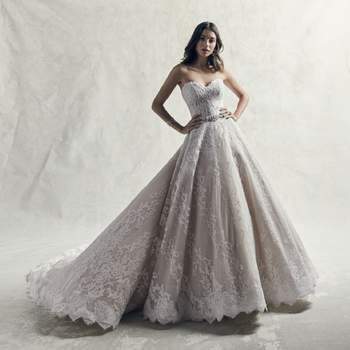 The Bardot Collection – with its name immediately reflecting the classical influence interwoven in every gown – balances a fine line between tradition and originality, using time-honoured fabrics to adorn modernised shapes, with a particular focus on updating every bride’s secret favorite silhouette – the princess cut. 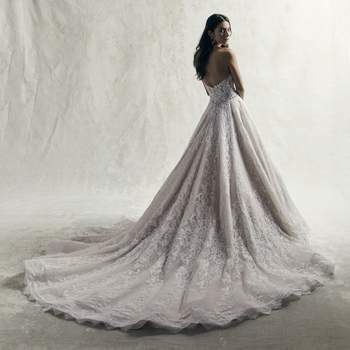 The princess cut is synonymous with the very idea of a wedding dress. 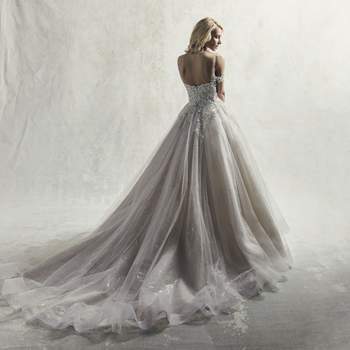 Every little girl who spends time dreaming of the dress she will wear at her wedding pictures a ballgown – no doubt inspired by the fairytales she reads about. 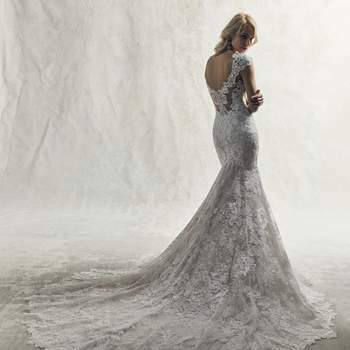 And it is exactly these stories from which Sottero & Midgley source their inspiration for the Bardot Collection. 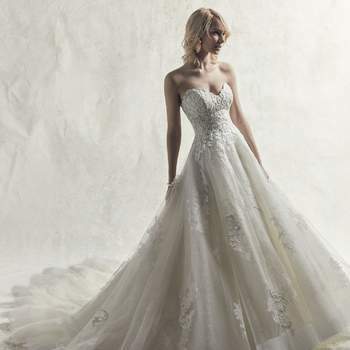 The astonishing skirts that make up this range of gowns are simply breath-taking. 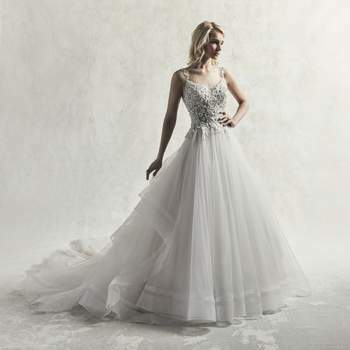 From the feather-like tulle of the Bardot gown to the rippling water-effect black lace of the Zander dress, Sottero & Midgley show the endless posibilities for ballgown skirts – you won’t be able to resist one of these incredible designs! Stepping outside of the comfort zone of many women, the Bardot Collection is made up of the most attention-grabbing dresses. 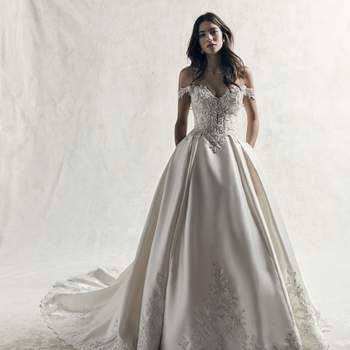 The combination of rich embroidery, daring low necklines, and bouffant skirts create luxury gowns that stand out from the crowd. 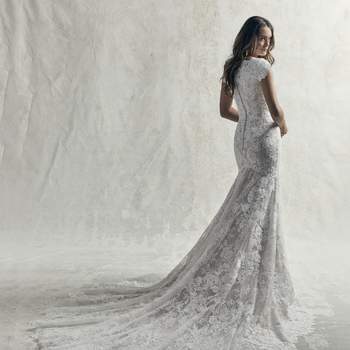 Instantly recognisable as couture pieces, Sottero & Midgley have designed a range of wedding dresses that are not just exquisite to the eye, but exquisite to the touch, with only the finest satin, tulle and guipure lace used. 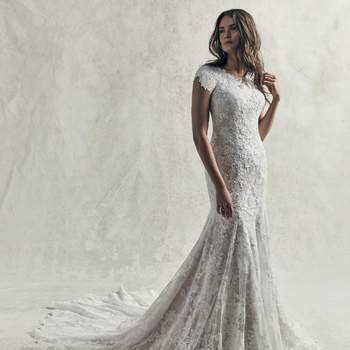 You’ll feel truly divine in a dress from the Bardot Collection for 2019, so discover it today!